“We are both humbled and honoured to see how much consumers all over the world express their care for our company and our brand,” said Lego spokesman, the delightfully-named Roar Rude Trangbaek, making the perfect point. Advertising with a newspaper that promotes “hatred, discrimination and demonisation” is bad for any company’s reputation. That is what firms like Co-op, Waitrose, Marks & Spencer and John Lewis need to consider carefully – the harm to themselves – rather than making spurious claims about “editorial judgement on a particular newspaper”. Stop Funding Hate has made a short video about the issue, which you can see here. Now let’s see some British firms follow suit. 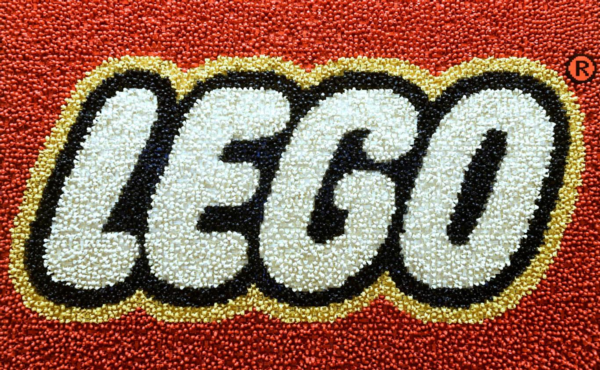 Lego will stop advertising its products in the Daily Mail, following a public campaign calling on big companies to drop adverts from newspapers accused of promoting “hatred, discrimination and demonisation”, the company has announced. Stop Funding Hate urges advertisers to rethink their ‘support’ for rightwing newspapers over what it sees as misleading headlines about child refugees, and the recent ruling by High Court judges that Parliament must be consulted before Article 50 is triggered. The Co-Op Group has said it is ‘reviewing’ its advertising but other companies have, until now, refused to withdraw their adverts. Waitrose and Marks & Spencer are also being urged to drop their Christmas advertising in certain tabloids. This is a really good boost to this campaign and I urge everyone to promote it on social media. It would be good for more companies to follow suit and make Paul Dacre fear for his job or change his editorial policy. Similarly the Sun and Express. Also write directly or email customer relations at the Co-op, Waitrose, John Lewis and Marks and Spencer. Only those organisations with a social conscience should join Lego. Well done LEGO! A victory for all those who despise the hateful Daily Fail and for LEGO too. Next we ask the Co-op to do the same – they are better than most and should follow suit if they are to keep their good name. All Lego does it make kids’ toys, why hassle them? These far-Left Communists and their Socialist friends, just demand full censorship of anything they please…fight back! Nobody forced Lego to stop advertising with the Daily Mail. They simply asked the company to take into account that its support of that far-right media organisation allows it to publish stories stirring up hatred against minorities. Do you support the Daily Mail‘s hate campaigns? If so, I’ll thank you not to visit This Blog again. Well done Lego at last some humanity…. Lego leads the way. Let’s hope other advertisers follow and boycott this vile excuse for a newspaper. All I would ask is that the newspapers, and the media, just start telling the truth without all the political bias/control that their editorial Board and the newspaper owners want reflected. I hope the USA media takes note which until their recent rude awakening were extremely biased politically many not helped by having a control freak for an owner. It is not just political it is not unnoticed that they also bow heavily to commercial pressures to only tell half truths eg GMO, Vaccine and Pharma,products etc etc. If the media would just challenge some of the lies that they are given would be a step in the right direction eg. recent Government NHS and Housing lies highlighted recently in Vox Political .